What’s better than the Subaru WRX? If you ask me, it’s putting the WRX’s wonderful turbo boxer engine into something that’s small and light and cool and isn’t a four-door sedan with a giant wing. I have long dreamed of swapping a WRX motor into a VW Karmann-Ghia, but this ‘Rex-swapped 1975 Dino 308GT4 for sale on Chicago Craigslist may be an even better idea. This is the first time I’ve seen this engine put into that car, and I have to say I love the idea. Yes, it loses the Ferrari-sourced 3.0-liter V8, but which would you rather work on and try to get parts for? That, or a JDM-sourced Subaru motor that’s far easier and cheaper wrench on? Plus, this motor is said to now put out 280 horsepower, which in the Dino’s scant 2,540-pound body has to move with real vigor. The gearbox is also a Subaru five-speed manual. The seller says they bought the car with no motor or transmission, and since the swap it’s remained largely stock otherwise. It needs some work—what old project car doesn’t?—on things like the window motors and wipers. The speedometer also doesn’t work with the current engine. 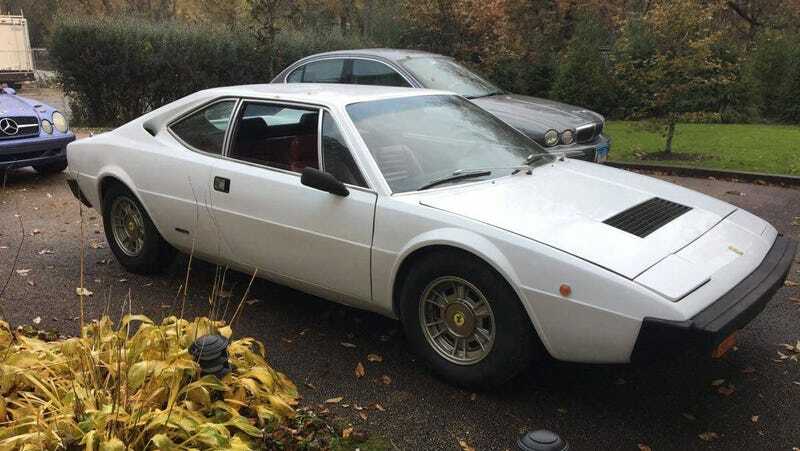 It’s far from perfect for any old Ferrari, but that’s kind of the point here. This seems like a weird, tough old beast that could be a lot of fun to drive and work on for the right person. And that right person had better have $29,500 free, because that’s the asking price. I’m pretty sure that’s on the steep side, but I also know the right weirdo out there is willing to go for it. I kind of want it in my life now too.